We are proud to announce equestrian as our newest national sports program for athletes with intellectual impairments. 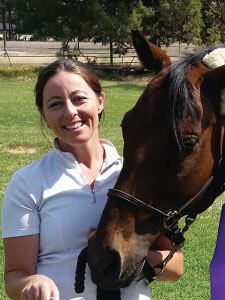 Based out of Bend, Oregon, the program opens the barn door to Inas and other high-level equestrian opportunities. Please contact us if you know of an interested US athlete or sponsor. Athletes without limits is currently reaching out to equestrians with Intellectual and Developmental Disability, Down Syndrome and/or Autism who are interested in new competitive opportunities, including the chance to represent the US in international competitions. INAS (the International Organization for Athletes with Intellectual Impairments), is developing new opportunities for accomplished equestrians to compete on an international level including a video competition which allows participants to compete against riders from all over the world without sacrificing the security of their own horse and coaching team. 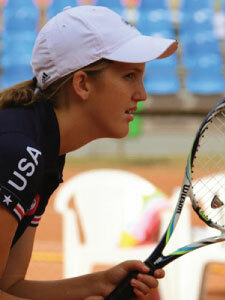 As an international athlete, there may also be future opportunities to travel! Our goal is to support US equestrian athletes who want to compete locally, nationally, or internationally as a Para-equestrian athletes by offering coaching and competitive opportunities (modeled after current Paralympic equestrian events) for riders to hone their skills under the guidance of Fédération Équestre Internationale (FEI) coaches and judges. 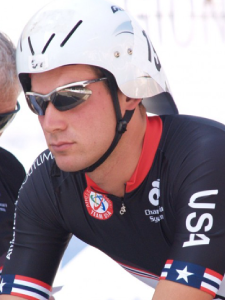 We are also in the process of developing local competitive opportunities for developing riders who want to showcase their current abilities and work towards representing the US in International competition in the future. US Athletes (regardless of sport) who wish to compete at the international level through INAS or join the official US team for Para-equestrians must meet INAS eligibility requirements by completing the Athletes Without Limits Inas Eligibility Application. Athletes who do not wish to compete at the international level only need to meet the eligibility requirements of the local events in which they compete. Which Dressage Tests are Offered? INAS currently offers events in dressage for international equestrian competitors, and qualified riders are expected to perform a tests in accordance with the The Fédération Équestre Internationale. For the 1ST and 2nd Inas-Para-Equestrian Video competition, riders will be required to complete the FEI Para-Equestrian Grade IV Level test. Equestrians interested in competing internationally who are riding independently at the walk, trot and canter and have reached proficiency in dressage OR an equestrian sport other than dressage should contact us immediately to develop a plan for transitioning into INAS dressage competition. At the local, regional, and national levels, it is our goal to develop competitive opportunities for equestrians with ID that include a variety of disciplines and skill levels. If you know of a talented rider who is interested or currently competing in equestrian events, please contact us to find out more about INAS eligibility requirements and what training and competitive opportunities are available for your rider. Also, please don’t hesitate to let us know what kind of opportunities you would like to see available in the future. We are eager to hear from athletes, family members, coaches, trainers, show managers, therapeutic riding instructors, horse owners, health professionals, or any other community members interested in supporting Athletes Without Limits’ mission to expand the training and competitive opportunities for equestrians with intellectual impairments.